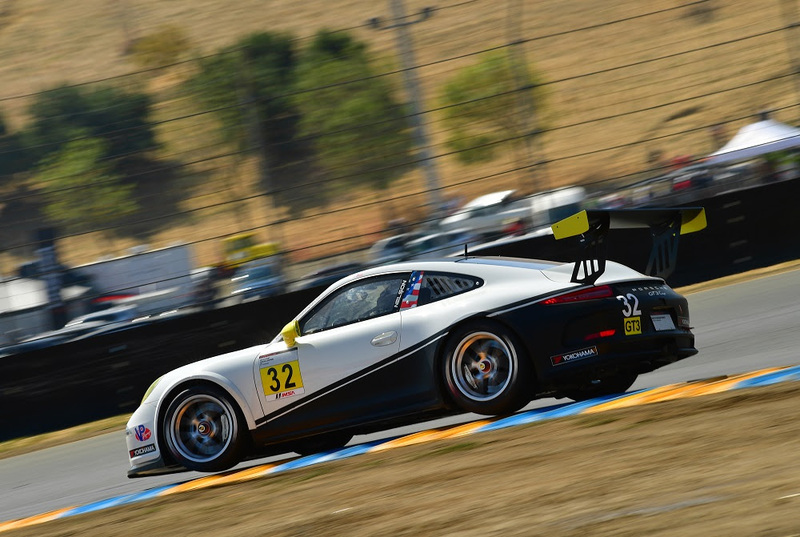 Sonoma, Calif. (18 September 2017) – It was a thrilling weekend on the West Coast for Kelly-Moss Road and Race (KMR) as the team took home three victories and the championship title after two big days of IMSA Porsche GT3 Cup Challenge USA by Yokohama action at Sonoma Raceway. Heading into the penultimate event of the championship, Jake Eidson needed to finish ahead of fellow championship contender Corey Fergus in both races in order to take the title. Eidson did just that by winning both races at the northern California road course. 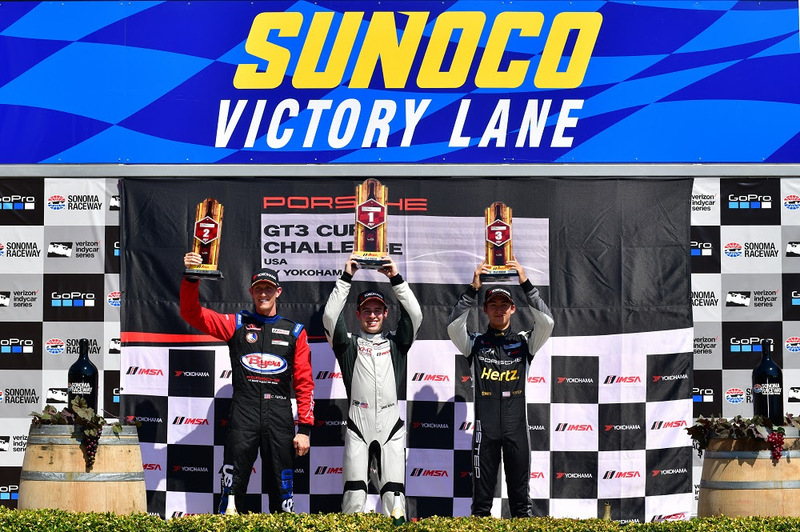 Saturday’s Race 1 saw Eidson score victory in a dominating fashion. He started from the pole in the No. 24 Kelly-Moss Road and Race Porsche and never looked back – eventually extending his winning margin to over 10 seconds. While Race 1 ran green the entire way, Sunday’s Race 2 was slowed by two caution periods. Once again Eidson started from the Pole but had to be mindful of Fergus who started on the outside of the front row. Despite having to face multiple restarts with Fergus right behind, Eidson kept the big picture in mind and drove a smart race, leading every lap all the way to the checkered flag. 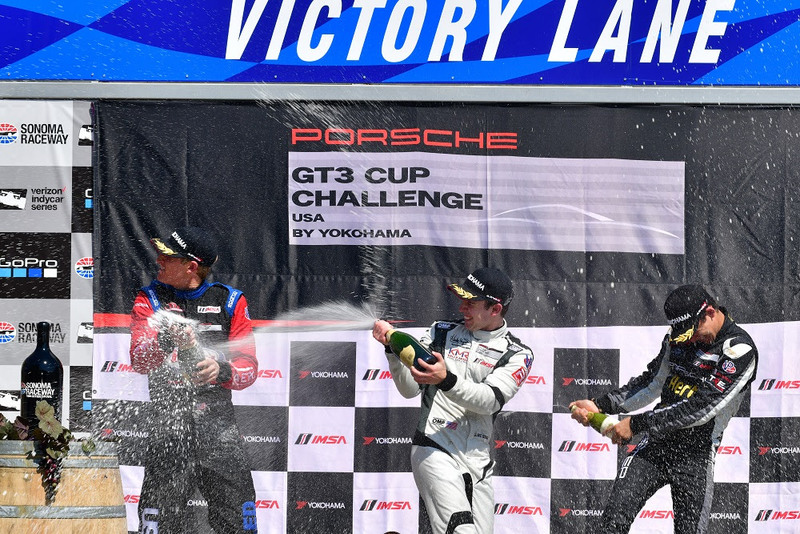 The result gave Eidson his sixth victory of the season and his first IMSA Porsche GT3 Cup Challenge USA championship in his debut season. It capped an incredible year for Eidson, who won the Hurley Haywood Scholarship and moved to sports cars full time in 2017 after an outstanding career in junior open-wheel formulas. 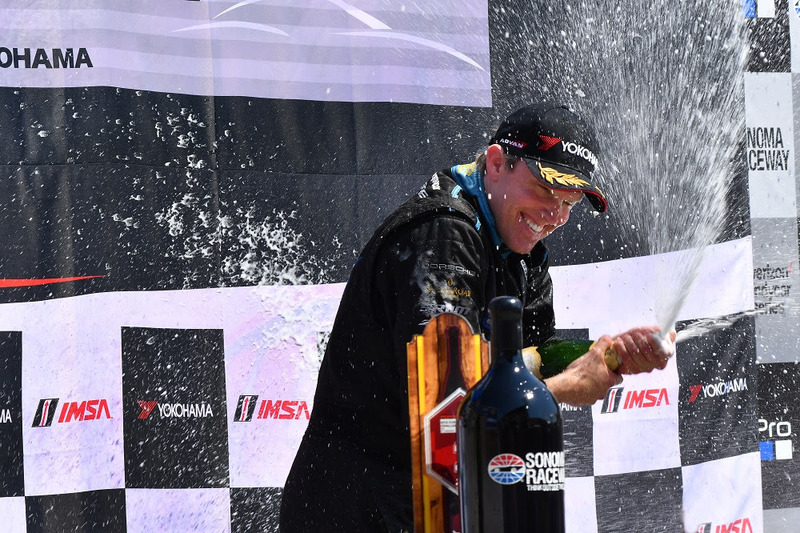 Adding to the team’s celebrations was Mark Nelson’s Gold Class victory in his IMSA debut. 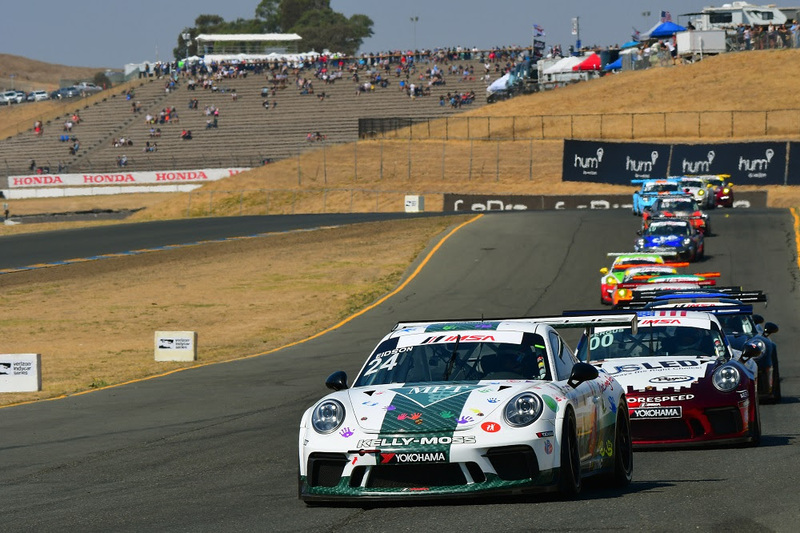 After racing in Porsche competition for years, Nelson made the move up to IMSA for the first time at his home track of Sonoma. And that home track advantage paid off with Nelson taking a runner-up finish on Saturday and following that up with the Gold Class victory on Sunday. 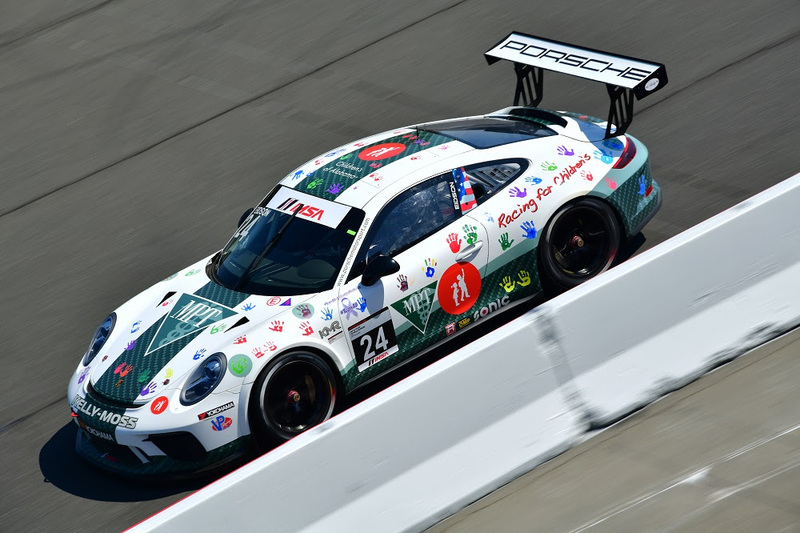 The opportunity to race in IMSA came as a team effort between Competition Motorsports and Kelly-Moss Road and Race with the KMR crew supporting the No. 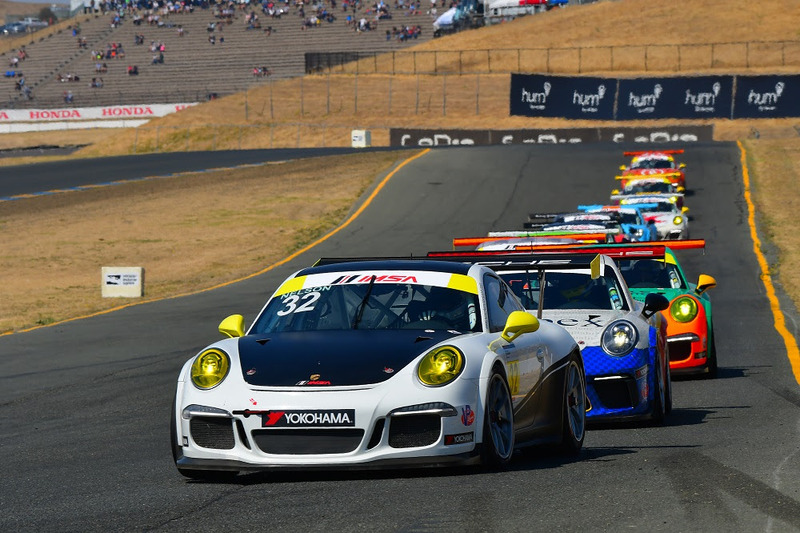 32 Porsche of Competition Motorsports. Kelly-Moss Road and Race President Jeff Stone was thrilled with his team’s performance, not only at Sonoma, but at each and every race this year. Kelly-Moss Road and Race will return to IMSA competition for the 2017 season-finale at Road Atlanta on October 4-6.